BALTIMORE, June 7, 2016— Audacious Inquiry LLC (Ai), a health information technology company, today announced a contract award by the California Emergency Medical Services Authority (EMSA) to develop a standards-based solution to support real-time queries across health information exchange (HIE) and provider organizations for individuals’ health information during a disaster. When natural or manmade disasters occur, such as earthquakes or catastrophic flooding, access to individuals’ medical records is frequently unavailable to first responders and other providers who are treating the sick, wounded, and evacuated. Ai will develop the Patient Unified Lookup System for Emergencies (PULSE) solution to serve as the technology platform for EMSA to leverage during disasters to facilitate the secure exchange of healthcare data. PULSE will be activated during a disaster and leverage existing HIE infrastructure as well as build health system connectivity. Allowing users to request and view clinical documents from connected HIEs and health systems within the PULSE Portal. “Emergency and disaster medical services are a critically important undertaking in ensuring the welfare of Californians—health data are often missing for patients in the most difficult circumstances, across a range of natural or manmade disaster scenarios. We welcome this opportunity to combine our teams’ collective strengths in HIE and medical services, emergency preparedness and response, systems modernization, and health information policy,” said Dan Smiley, EMSA’s Chief Deputy Director. Lee Stevens, ONC’s Office of State and Interoperability Policy director, added, “ONC is excited to support this standards-based work to create EMS-to-HIE interoperability within California, and we look forward to leveraging the results with other states across the country. 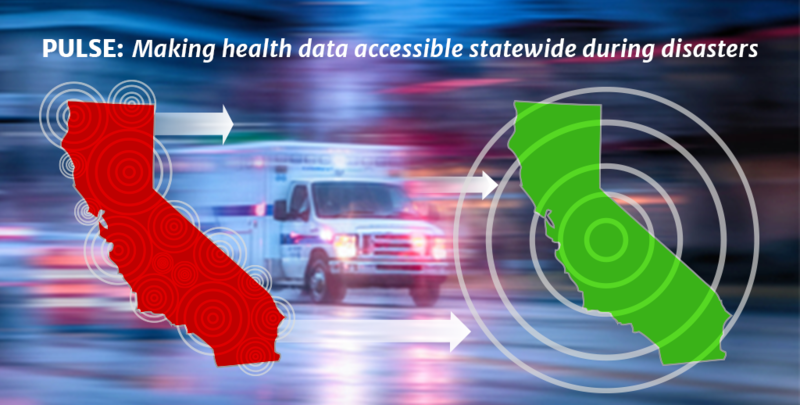 This project reflects the critical importance of the seamless and secure flow of health data for public safety, preparedness, and response—in California and beyond.” Ai has defined the PULSE California use case in collaboration with the California Association of Health Information Exchanges (CaHIE), and will leverage existing industry, state, and federal health standards to develop an exchange platform for central access. EMSA is charged with providing leadership in developing and implementing EMS systems throughout California and setting standards for the training and scope of practice of various levels of EMS personnel. The EMS Authority also has responsibility for promoting disaster medical preparedness throughout the state, and, when required, coordinating and supporting the state’s medical response to major disasters. Emergency and disaster medical services in California are rooted in the skills and commitment of the first responders, EMTs, nurses, physicians, and administrators who deliver care to the public and operate the system. In order for high quality services to be delivered with high efficiency, all aspects of EMS systems must work together, mutually reinforcing and supporting each other for the benefit of the patient. The California EMS Authority, through standard setting, consensus building, and leadership, plays a central role in improving the quality of emergency medical services available for all Californians.